Welcome to Neighborhoods of GR, an informal series for Grand Rapidians, its visitors, and those considering calling the river city home. Each article in the series will cover a particular GR neighborhood, will be covered by a resident writer, and will showcase the charm, the history, and diversity of our fair city. Explore the Westside from the perspective of Paul Soltysiak, local professional and Stockbridge Business Association board member. 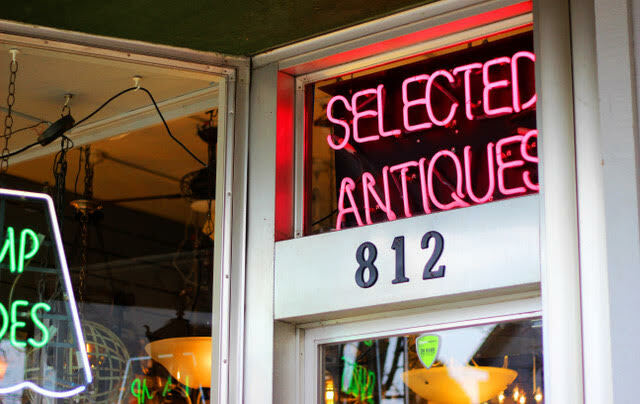 According to local professional Paul Soltysiak, The WestSide is diverse with lots of history. It has a wonderful flavor that is tough to define unless one lives, works, or plays here often. It needs to be experienced to be understood. Explore the Westside from Soltysiak's perspective in this installment of Neighborhoods of GR. As I write this story, it’s just been announced that Consumers Energy is building a new $20 million headquarters in the heart of the WestSide. This will be a good fit with the new, experimental solar power grid going up in the same area. It’s a challenge to keep up with all the changes and movement happening here. It is often said, "WestSide, Best Side!" To be honest, as a WestSide native, I personally don’t like this slogan. It somehow seems a bit arrogant. Westsiders possess many characteristics, and I don’t believe arrogance is one of them. I think we tend to be more “blue collar”: hard-working, fun-loving, and accepting. But certainly not arrogant. While some are concerned with pushing out long-time residents, and with the dreaded “g-word” (gentrification), others are excited with the renaissance of the area and all of the positive development. 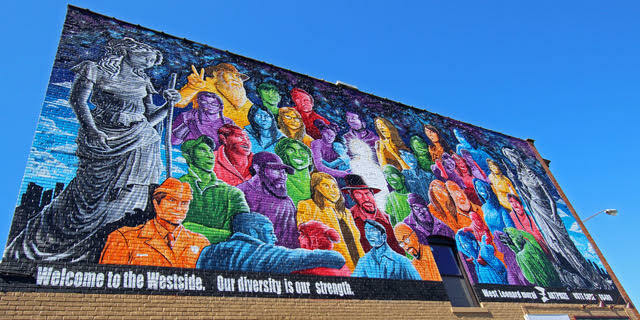 The WestSide is diverse (as illustrated by the wonderful mural at Leonard and Turner, by George Eberhardt), with lots of history. It has a wonderful flavor that is tough to define unless one lives, works, or plays here often. It needs to be experienced to be understood. I think I first came to realize how the WestSide was changing back in 2013, when Stocking School reopened after it was shuttered in 2010. How often does that happen? A school shut down, only to reopen a few years later? That impressed me, and I started paying close attention to things. I was born and raised here—then lived on the other side of the river for many years—and moved back here a few years ago, where I now live and work. I serve on the board of the Stockbridge Business Association, and try to learn as much as I can about the new progress, as well as the history of the area. I took some time to investigate some of the long-standing businesses on the WestSide, and have been amazed. 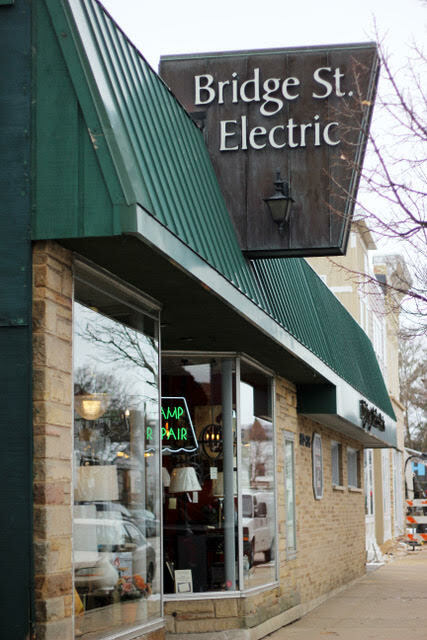 For example, Bridge Street Electric on Bridge near Stocking has been in business since 1929, and has some wonderful products and services. 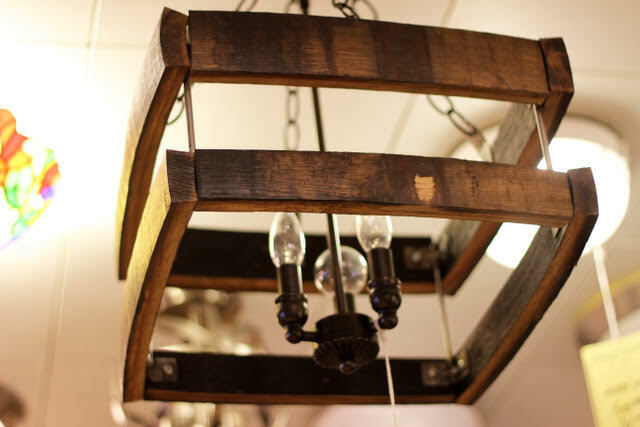 Not only do they sell new lights, fixtures, etc., but they can also restore just about any light—often with original parts. I spoke with owners Deb and Jim Dagley and they enthusiastically showed me around. I had no idea of the scope of their business, which is a unique resource right here on the WestSide. Their customers come from all over, and they’re excited about the potential foot traffic that they hope will occur once the Bridge Street Market is open, and as other businesses develop in the neighborhood. Regarding the future, Joyce says, "You never really know what the future will hold, but with both the economy and developments growing around the WestSide, we have been, and should continue to be, as busy as ever and growing. We love serving the WestSide and all those that drive here to shop at our store. We appreciate every customer. We've been here for 95 years and we feel it's only the beginning!" Ken BairKen Bair is the store manager of the new Bridge Street Market. Originally from Southern California, Bair was hired due to his 27 years of experience working with grocery stores. 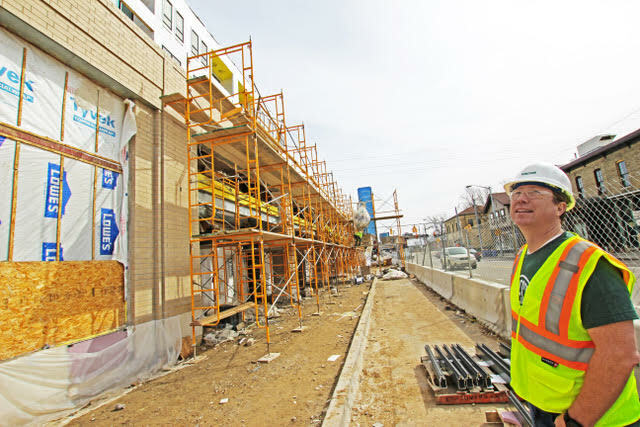 He’s been digging in and getting to know the area and the residents, and is excited to provide a new shopping experience to people who live and work here. While owned by Meijer, Bair has the flexibility to select his own merchandise and quickly make decisions to accommodate customer requests. He’s committed to offering a wide array of local products and a good mix of high-end craft items, as well as very value-oriented items that will be affordable for those who shop there. Marco Bulnes, owner of Mayan Buzz.One of the new businesses that will be part of the Bridge Street Market is Mayan Buzz Cafe’s second location. They beat out some stiff competition from several coffee shops and franchises, and were chosen to anchor the Market. They’re a local, woman and minority-owned business. 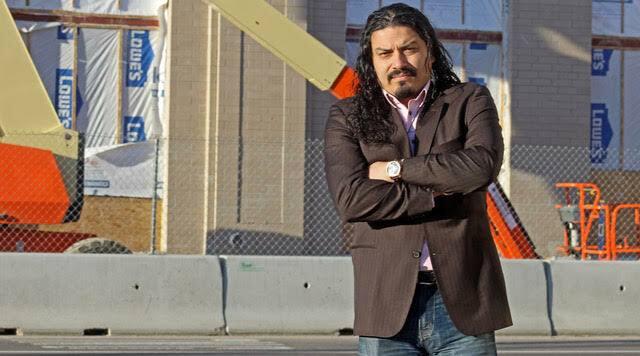 Buzz co-owner Marco Bulnes, originally from Honduras, is thrilled to be a part of it all. He compares the WestSide to himself when he says, “Passion. Purpose. Resilience. The WestSide possesses all of these, and the Bridge Street Market is a testament to it all. Being a partner in this venture is a dream come true,” says Bulnes. It’s clear that there’s lots of excitement going on—with some cautious optimism. The blending of old and new—people of all types—all adding flavor to what we call home… WestSide!